(MENAFN - Kuwait News Agency (KUNA)) NEW YORK, Feb 11 (KUNA) -- Despite the international community efforts to counter the so-called Islamic State (IS) group, the global coalition success in significantly degrading it, the terrorist organization still poses a real threat to international peace and security, affirmed Monday Kuwait's Representative to the United Nations Mansour A. Al-Otaibi. 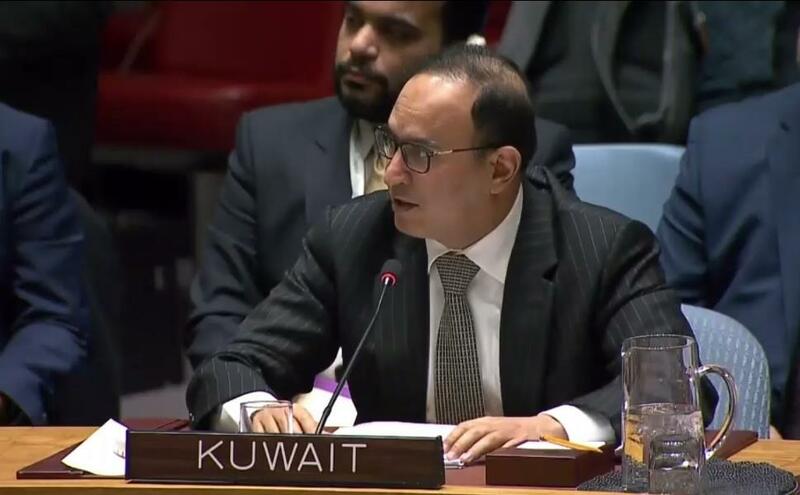 Though the number and scale of terrorist attacks carried out by IS has recently declined due to many factors including the efforts of the international community, especially the Global Coalition to Defeat IS/Daesh, the group continues to pose a real and direct threat, Ambassador Al-Otaibi said at a special UN Security Council session on the terror threats to the international peace and security. He noted that the global coalition's efforts had resulted in a remarkable decrease in the group members in Iraq and Syria to 14,000-18,000, according to some reports. The group, however, had shown keenness to quickly adapt and transform to use available resources and cooperate with other terrorist groups to execute its plots whenever an opportunity arises, he warned. He stressed that the international community had to take into account that a great IS members were foreign fighters who were returning, relocating or released. "Without unifying the international community efforts to target its financial, logistical, military, intelligence, security and media networks, the group will re-emerge in hotspots and conflict zones causing the international community to incur heavy losses," Al-Otaibi cautioned. He reiterated Kuwait's commitment to the global Coalition's Guiding Principles adopted in Kuwait in 2018, which were renewed by the Ministers of the Global Coalition to Defeat ISIS/DAESH in their meeting in Washington on February 6, 2019. Al-Otaibi clarified that the most prominent threat is IS's ability to organize and finance its terrorist activities through financial assets ranging between USD 50 million and USD 300 million. This requires international and national preventive measures such as comprehensive strategies to fight the financing of terrorism and terrorist narratives, he asserted. He went on to stress the need to reassess the situation of relocating fighters, reaffirming the need to hold perpetrators accountable, including those who have committed war crimes and crimes against humanity. At the international level, he continued, exchanging information, addressing the root causes of terrorism, preventing terrorism incitement, training law enforcement officers, taking care of young people and signing bilateral agreements are vital. Al-Otaibi renewed Kuwait's firm stance condemning terrorism in all its forms and manifestations and regardless of its motives and describing it as unjustifiable criminal acts, that should not be linked to any religion, nationality, civilization or ethnic group.